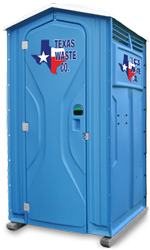 Fair & Festival Porta Potty Rental | Texas Waste Co.
City and state fairs and festivals bring people of all ages together each year to enjoy a menagerie of games, rides, vendors, events and shows. It’s the perfect time for areas to encourage community pride but if sanitation facilities aren’t up-to-code, you’re likely to damage the town’s reputation and the fair-goers experience. That’s why Texas Waste Co.’s fair & festival porta potty rental consultants who will help to determine the perfect number and unit types to ensure safe, clean fun. 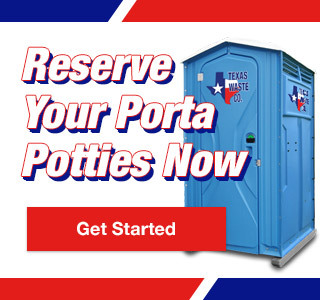 Because children, adults and elderly individuals are likely to join in the fun, you’ll want air & festival porta potty rentals that cater to everyone. From handicap units that provide easy entry and exit to standard hand washing stations that are operated by foot pump, Texas Waste Co. will outfit your festival with the perfect fair porta potty rentals to keep everyone happy. Sustain community pride and contribute to fond fair memories with the cleanest and most sophisticated fair porta potty rentals available. With same day delivery and cleaning services for multi-day festivals, you’re sure to achieve the perfect environment for family fun.